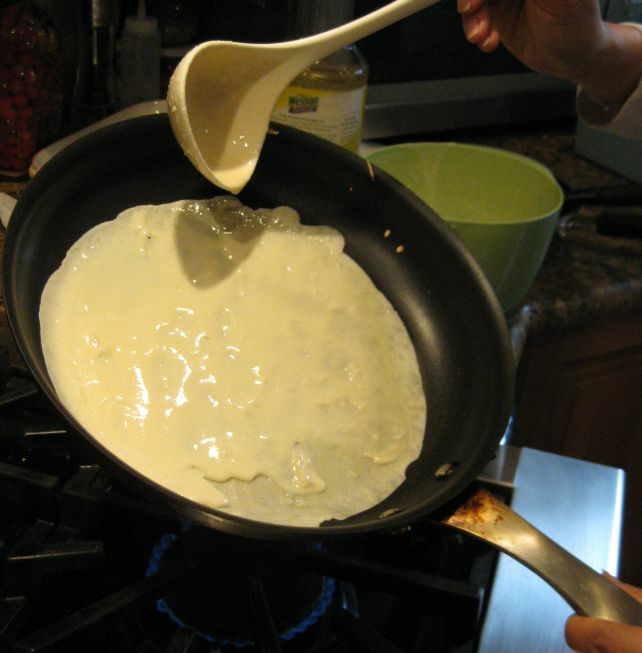 The word Crêpes means pancake in French. 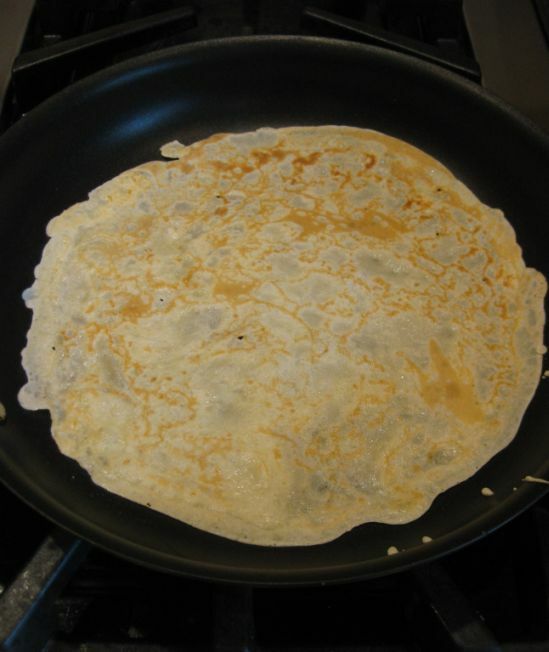 In France, Crêpe were originally called galettes crêpe, meaning flat cakes. 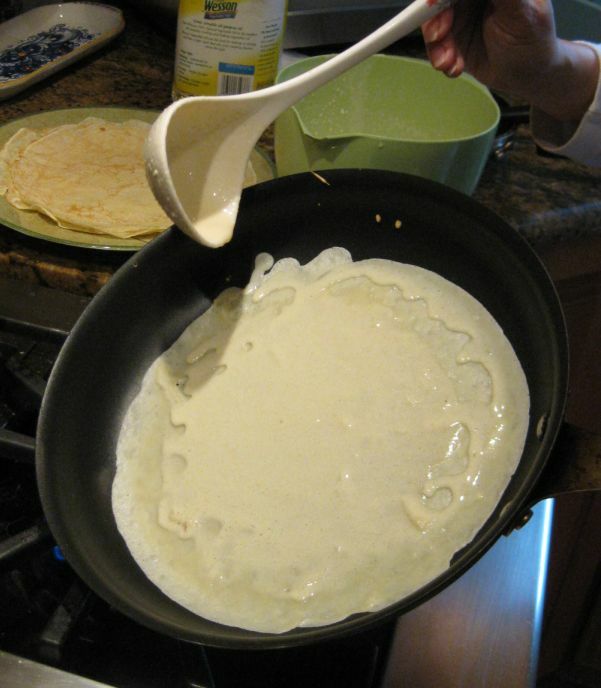 Crêpe are originated in Brittany, the northeast region of France, where they rarely had fillings and were used as bread but today Crêperies (stores that sell uniquely crêpes) are serving sweet and savory Crêpes and they are found throughout France. 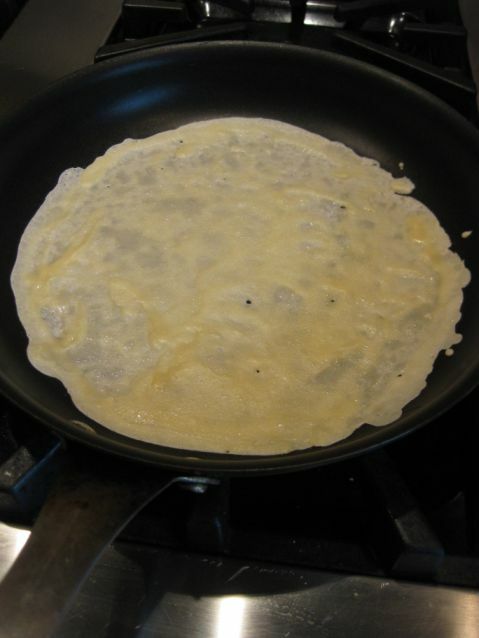 Traditionally, Savory Crêpes that are served as main course, are usually made with buckwheat flour, while dessert Crêpes are made with wheat flour but at home I just use regular flour for my Crêpes. 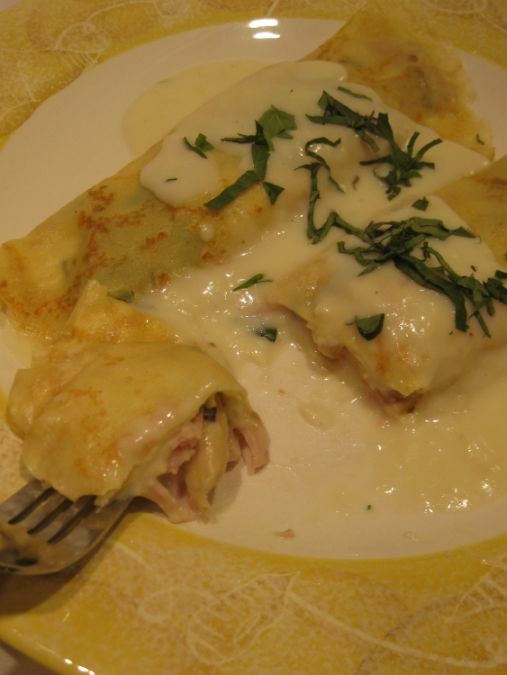 Kevin loves Crêpes with Béchamel sauce so I try to make them once it a while. 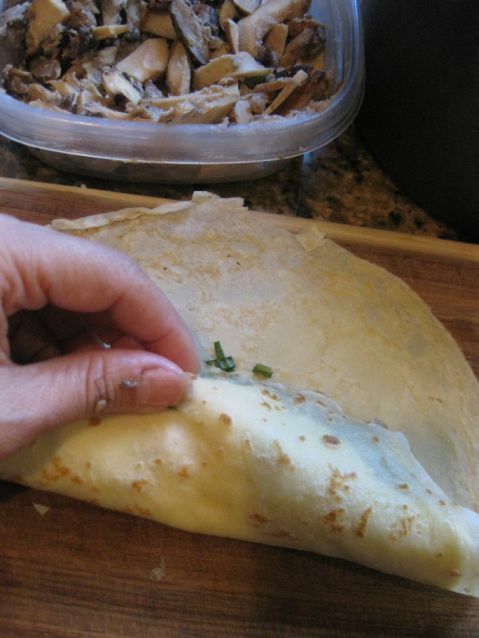 Plan ahead, give yourself at least 2 days if you want to make the crêpes. One day to prepare the batter, it is actually only takes 5 minutes to prepare it but you have to let it rest overnight (preferably). 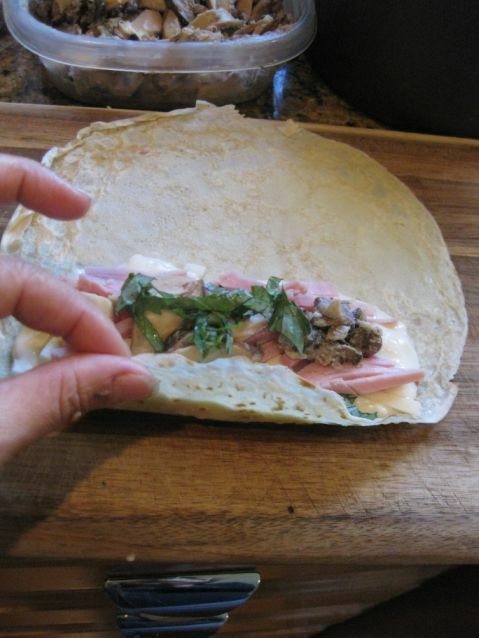 Then the next day make the crêpes and the filling. Making the crêpes does take quite a bit of time but one they are made it is pretty easy from there. 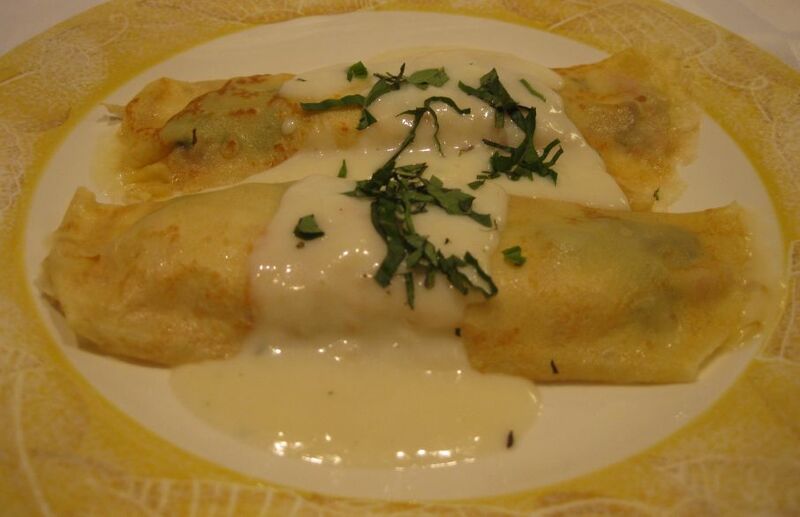 The Béchamel sauce is so good with the melting mozzarella cheese and the basil gives it a fresh taste. Close look at the Crêpes. 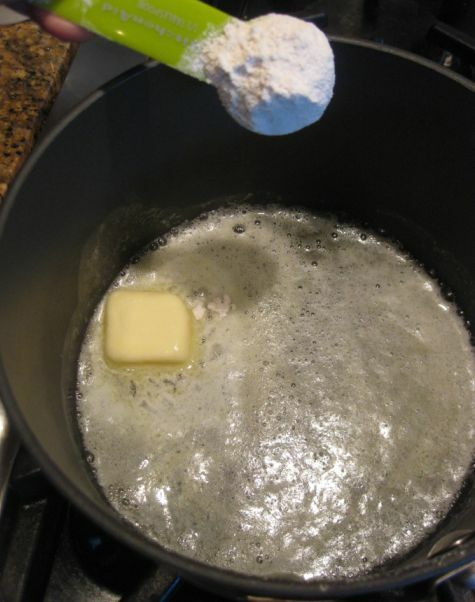 In a medium heavy saucepan, melt butter over low heat. 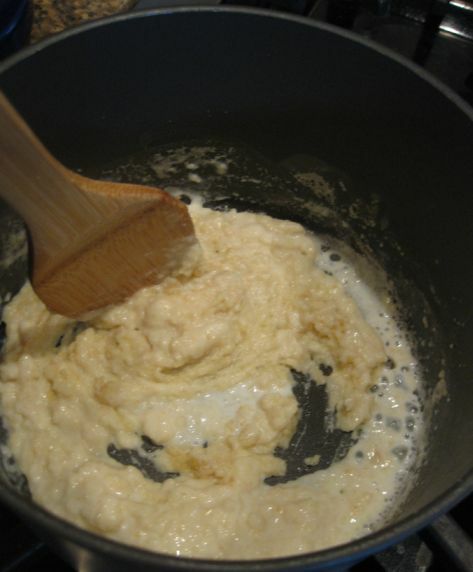 When the butter starts to foam, add the flour all at once, mixing well with a wooden spoon. Stir the flour and butter together and let it cook for a minute or so and then add the mustard and then mix it well together. 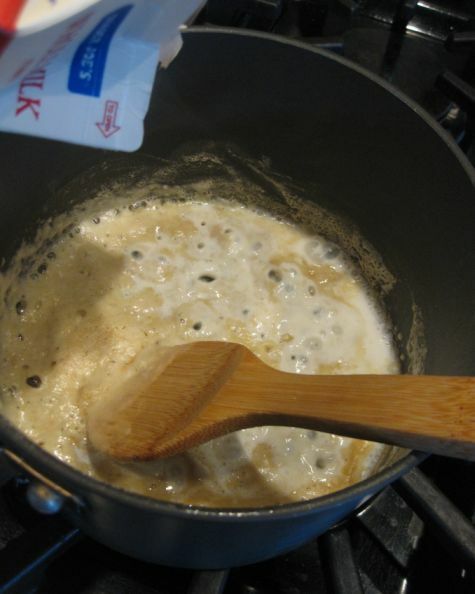 Pour the milk gradually and whisk it together. Keep adding milk until it reaches the desire consistency. 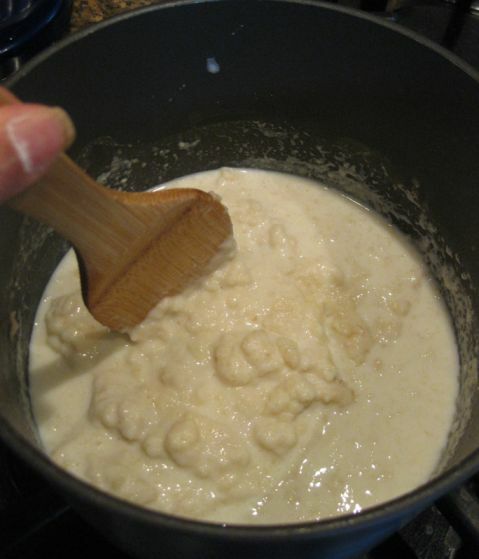 You will get formation of lumps but just keep stirring and add milk slowly and the lumps should go away. When you have reach the desire thickness consistency, add salt and pepper according to taste. 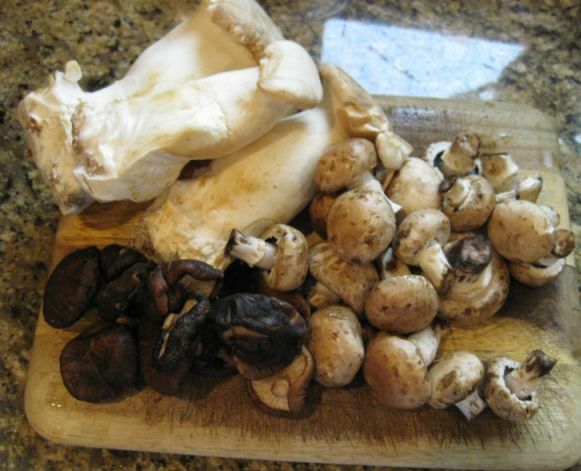 I just have a bunch of mushrooms but you can buy just one type. 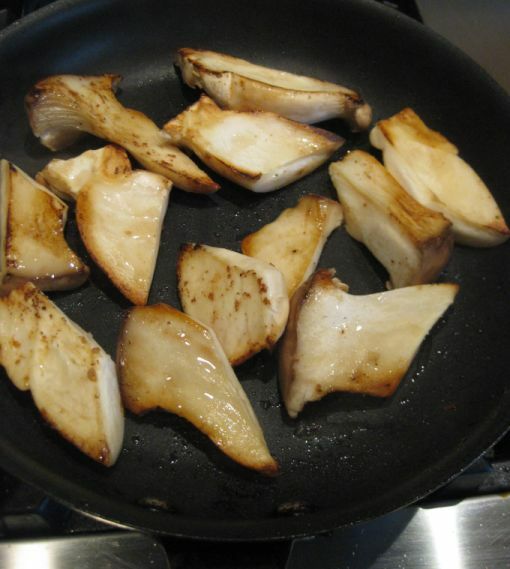 Clean the mushrooms and then slice them and put aside. 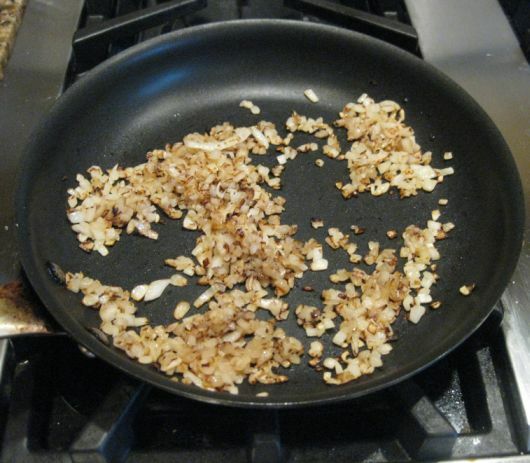 Chopped the onion and then sautéed them until golden and put them aside. 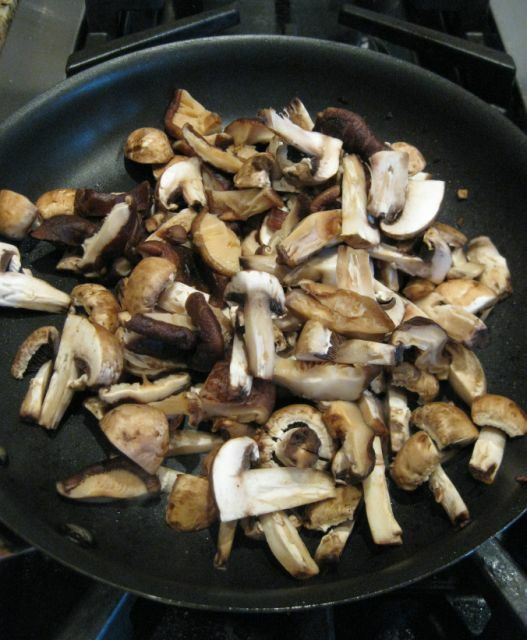 In a hot oil pan add the mushrooms and sautéed them until they have released their juices. 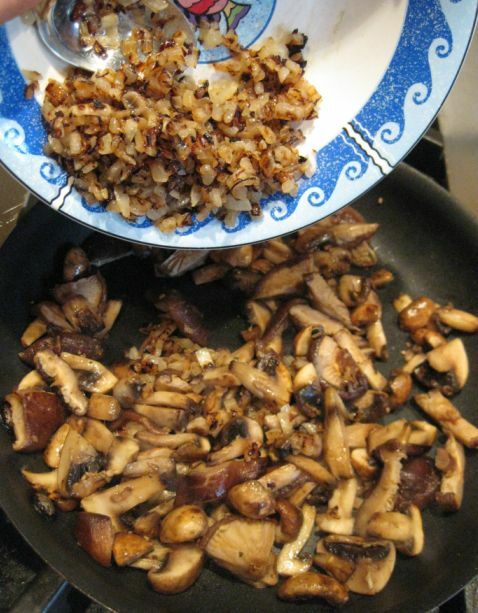 When the mushrooms are soft add back the caramelized onion in the pan and add salt and pepper according to taste.. Here you can see that they are nicely browned. 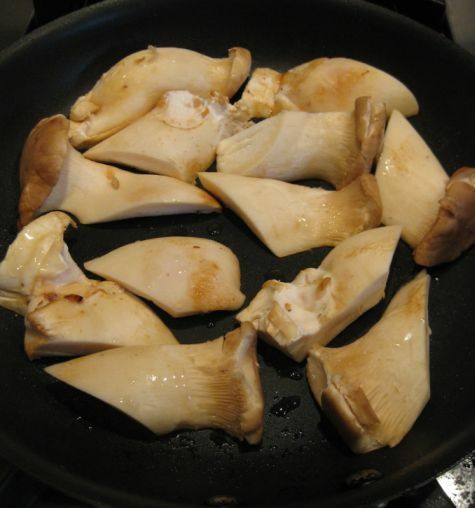 Remove them from the pan and slice them thinly. 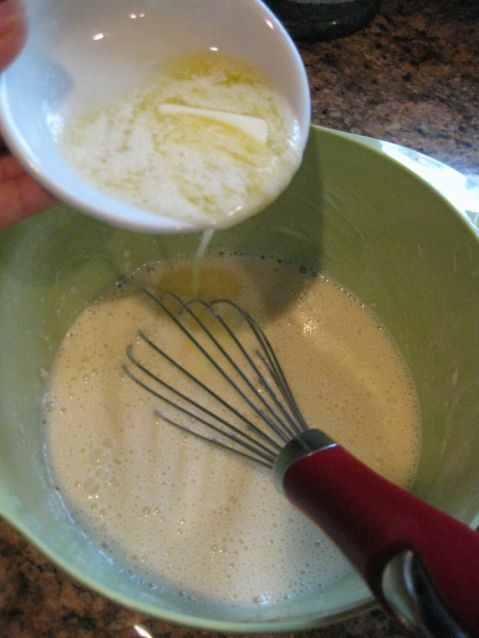 Whisk the egg, milk, water, flour, salt together until smooth and then add the melted butter and stir. 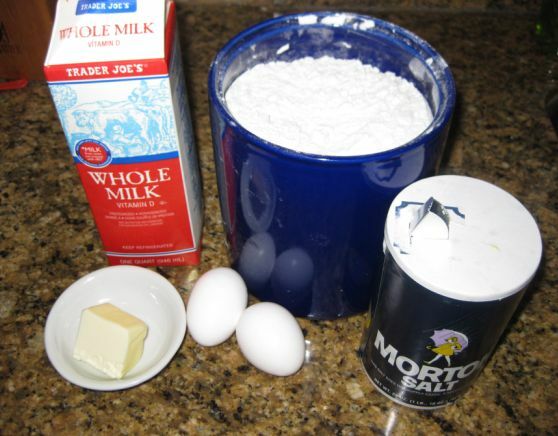 Cover and refrigerate for at least 1 hour or up to 24 hours. 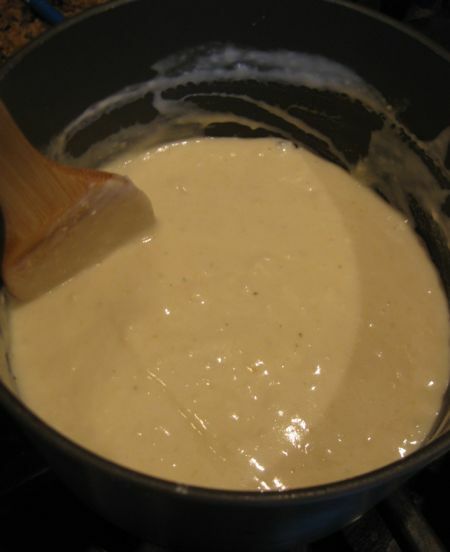 Remove the batter from the refrigerator and gently blend and stir the batter if it has separated. Heat a nonstick pan over medium high heat. 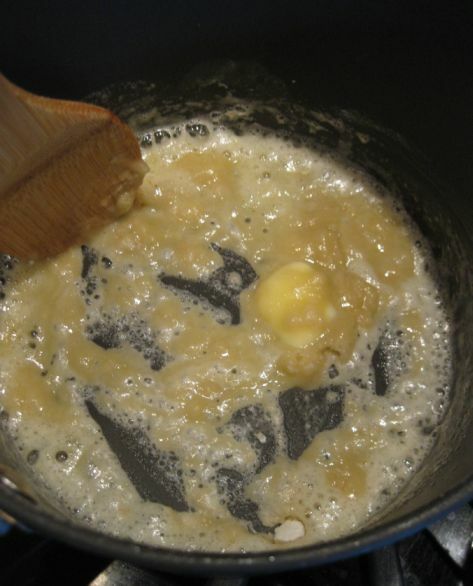 Coat the pan lightly with butter and pour in the batter. Tilting and rotate the pan to coat the surface of the pan. ..and let it cook for 1 minute or so...once the top is dry and lightly browned on the edge, flip the Crêpe to the other side. Cookthe other side for 15 seconds or until lightly browned. 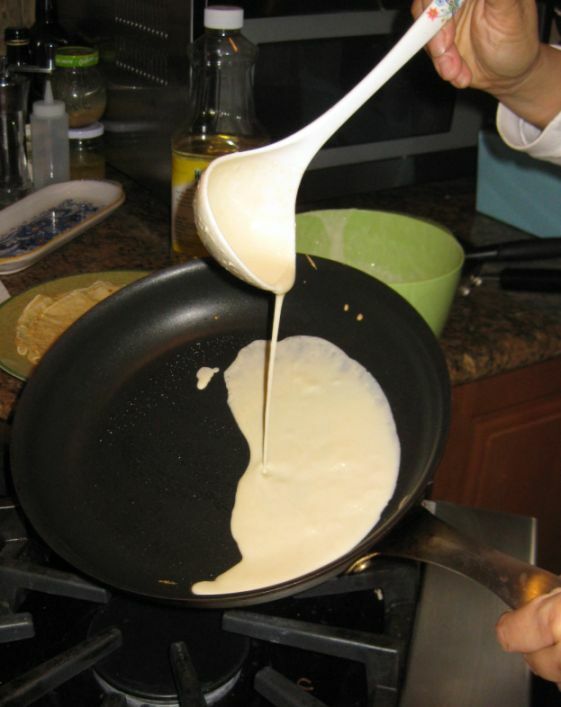 Turn the Crêpe out onto a plate. Repeat until all the batter is used. This recipe yield about 10 to 12 Crêpes. Stack the Crêpes together. 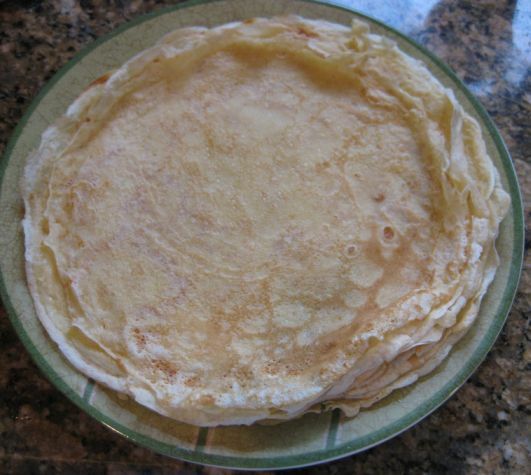 The Crêpes can be refrigerated up to 3 days or you can freeze the un-used Crêpes for up to 2 months. Ready to put the Crêpes together? 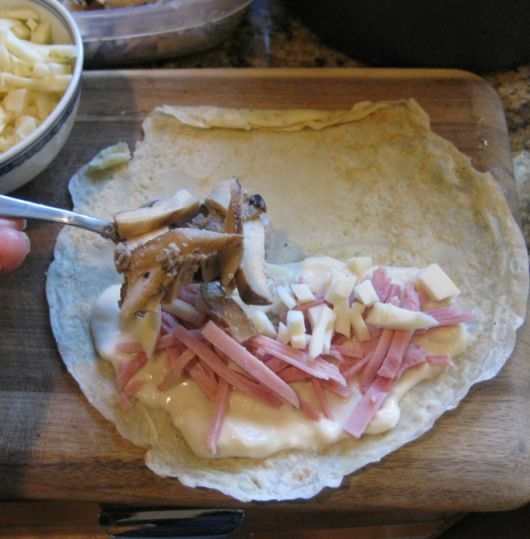 Chop the ham, Mozzarella cheese, and basil and put them in separate bowl, bring out your sautéed mushrooms, your béchamel sauce and your Crêpes and line them up to form a food line. 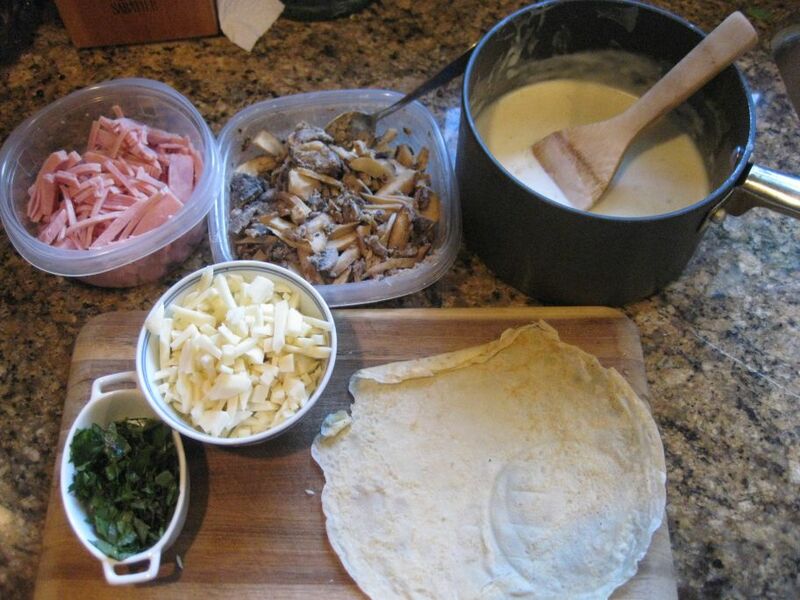 Lay a crêpe down, spread a layer of béchamel sauce, add ham, mushrooms, mozzarella cheese, and basil. Once the Crêpe is ready, repeat the same process. 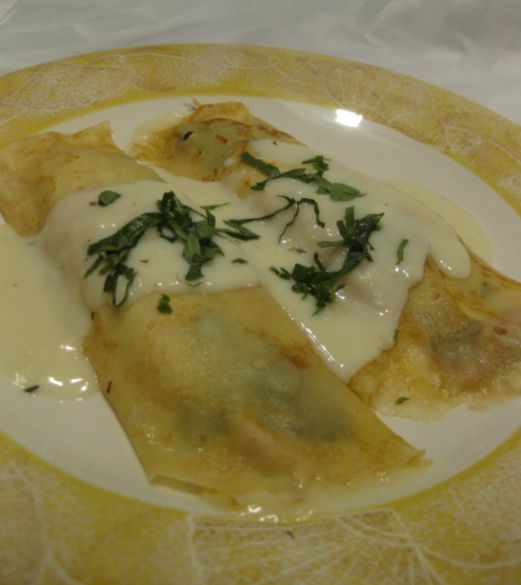 When it is ready to be served add a layer of béchamel sauce and then put it in the microwave for about 30/40 seconds per crepe. Or you can put the Crêpes in the oven.